In a major victory for female worshippers, Mumbai’s Haji Ali Dargah Trust today told the Supreme Court that in a month’s time women will be allowed till its inner sanctum sanctorum. “We have already passed a resolution on October 11 to this effect and need two weeks time to implement..Some flooring has to be done and we also need to remove some obstructions like wooden windows and treasury boxes which are on a separate path being made for women. Over all in a month’s time women will be allowed in”, Senior Advocate Gopal Subramaniam who appeared for the Trust told a bench headed by Chief Justice T S Thakur. The trust told the SC that it had decided to scrap a 2012 order that said it was a grievous sin to let women enter the mosque. The decision comes roughly two months after the Bombay high court struck down the ban and called it a violation of fundamental rights. The trust had challenged the verdict in court. This change in the dargah trust's position comes four weeks after it filed the case and informed the Supreme Court that, "it does not want to take an adversarial position on the issue and wants time to resolve the matter". During the hearing the bench had told senior lawyer Gopal Subramaniam who appeared for the Trust in appeal: "there is a problem if women are not allowed to go beyond a point but men are...you take a progressive stand on the issue"
Subramaniam then assured court that the Trust will come up with a concrete solution and no regressive step will be taken"
On August 26, the HC lifted a ban imposed on women from entering the inner sanctum of the dargah. Noorjehan Fiaz and Zakia Soman, founders ofBharatiya Muslim Mahila Andolan had petitioned the Bombay HC against the ban, calling it unconstitutional. High Court had held that the ban imposed by the Dargah Trust, prohibiting women from entering the sanctum sanctorum of the Haji Ali Dargah, contravened Articles 14, 15 and 25 of the Constitution and said women should be permitted to enter the sanctum sanctorum like men. It had held that the trust had no power to alter or modify the mode or manner of religious practices of any individual or any group. The High Court in its 56 page-judgement had also noted that the right to manage the Trust cannot override the right to practice religion itself. It had said the trust has not been able to justify the ban legally or otherwise, and hence it cannot be said that the prohibition is an essential and integral part of Islam and whether taking away that part of the practice would result in a fundamental change in the character of the religion or belief. The court had also refused to accept the justification of the trust that the ban was imposed for safety and security of the women, in particular, to prevent sexual harassment of women at places of worship. The trust had claimed that the ban was in keeping with an order of the Supreme Court wherein stringent directions have been issued to ensure that there is no sexual harassment to women at places of worship. The court noted that the aims, objectives and activities of the Haji Ali Dargah Trust are not governed by any custom or tradition and held that it was a public charitable trust and hence open to people all over the world, irrespective of their caste, creed or gender. 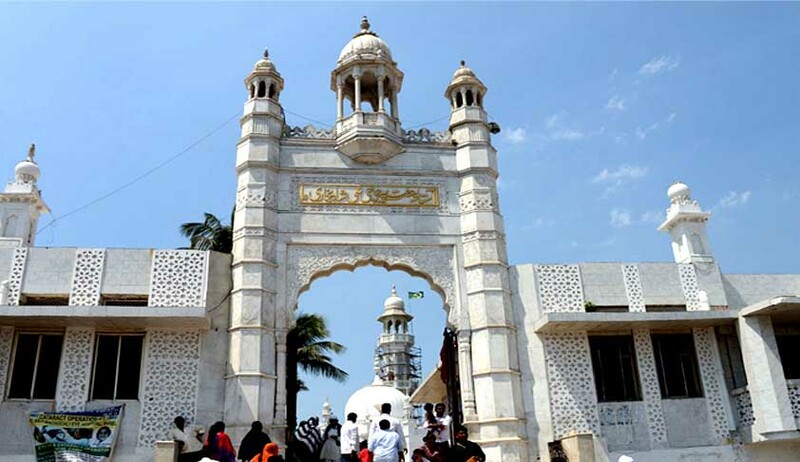 The Maharashtra government had earlier told the court that women should be barred from entering the inner sanctorum of Haji Ali Dargah only if it is so enshrined in the Quran.